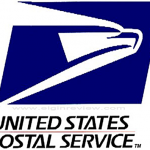 Patrons of the Elgin Post Office will need to have their mail “in the mail” a bit earlier beginning on Monday, August 24, 2015. “Due to operational changes”, new collection hours (effective August 22) have been announced at the Elgin location. For mailers utilizing the counter or inside drop box, mail will need to be dropped off/in by 12:20 p.m. Monday through Friday. On Saturdays, mail inside will be collected at 9:45 a.m. The drive-up mail collection box, located on the southeast corner of the building along the alley, will be picked up daily at 1:20 p.m. Monday through Saturday.